We offer classes for ages 3 and up. Our curriculum is called The Whole People of God. It is a comprehensive program that utilizes activities, music and other elements to create an exciting and fun learning experience. 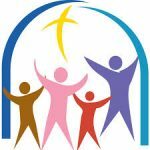 The curriculum is based on the lectionary calendar which means the lessons that are taught in Sunday School will reflect the readings and sermons during Sunday worship. Our desire is for the children to make a stronger connection with the messages they hear during our regular services. Our classes begin at 10:00am, which will allow for the children and teachers to join their families for the sermon each Sunday. We feel it is a great opportunity for the children to share what they learned while worshiping with their family. Our teachers will also provide each child with a take home guide based on the weekly lesson so that families can continue the spiritual conversation at home. Our Sunday School program strengthens our offerings for families and it is important that we grow these types of opportunities. We will continue to offer our family service and incorporate elements of the Whole People of God curriculum in it. Our Vacation Bible School has been extremely popular each summer. All of these offerings couldn’t be possible without a dedicated group of teachers and volunteers. If you would like to help with one of our family programs (no teaching experience necessary!) please let us know.